This website service is brought to you by QuickontheNet.com at Quick on the Net Limited. We are international providers of website templates and web hosting solutions. Are you ready to build your own Driving School Website? This is fast and easy! In fact, we believe it cannot be made any quicker, simpler or cheaper than this. 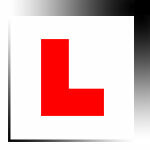 This is an opportunity to attract more learner driver students to your business. Whether you operate your business alone or you manage a team of driving instructors, this website will scale up or down to meet your requirements. What's more, the end result looks highly professional and it can be customised to suit the needs of your local business. You can generate a new income stream and take PayPal online payments for driving lessons and gift voucher sales. So, you start here: Driving Instructor Website Templates. And when you are finished, you can have your own driving instructor website: Driving School Website. This option is ideal if you are just getting started and you need a website solution with the minimum amount of fuss. Just tell us the name of your business - and using our unique web templates, you can be up and running on the internet in no time at all. To get started, you can buy a web design template and the price starts at only £7 per month (other currencies on offer: US $11; Euro €9; Canadian $14; Australian $16). The cost is very cheap, but the end result looks slick and professional. You can actually turn off the link to QuickontheNet.com (a.k.a. 'No footer bar') and hide the fact that this is a low-cost solution. Six template design schemes and eight layout arrangements are immediately available, with pre-designed creative concepts for the UK, Ireland, Australia and New Zealand and they can easily be adapted for the USA and Canada. You can take it a stage further and use our site builder for building your own website from scratch. The driving lessons site builder option is perfect if you already have your own business logo and branded design scheme. Either way, it doesn't matter which option you choose, because you still get full access to our web builder toolkit, whether or not you choose to purchase one of our creative 'click and buy' templates, or design your own site from start to finish.